Sony's Limited First Litter Edition aibo is Now Available for Purchase in U.S.
Sony Electronics Inc. today announced that the aibo First Litter Edition is now available for purchase in the U.S. through Sony's website, www.sony.com/aibo. 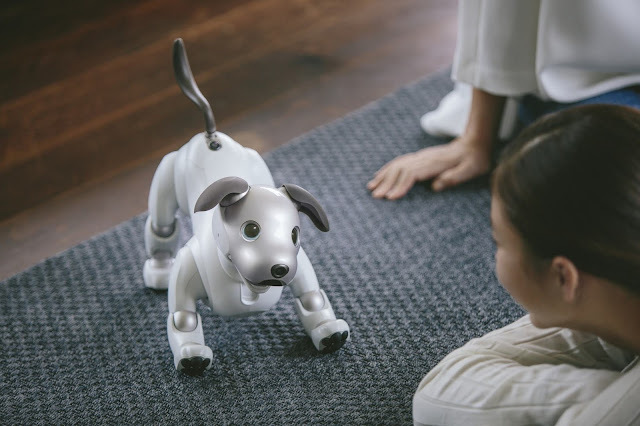 In August 2018, Sony announced plans to offer a special, limited-quantity First Litter Edition of its acclaimed aibo robotic "puppy" companion in the United States. Consumers can now pre-order Sony's exclusive aibo product and service bundle, and early purchasers will begin receiving their new aibo companions starting in December 2018 – just in time for the holidays. The aibo First Litter Edition is an all-in-one bundle that includes the beloved companion robo-pup, a three-year AI Cloud Plan1, pink ball, aibone, paw pads and aibo's special charging station, as well as an individually numbered commemorative dog tag. The three-year AI Cloud Plan enables aibo to upload its day-to-day life experience to Sony's leading-edge artificial intelligence (AI) engine. This exciting technology allows aibo to access its database of memories and experiences to develop a unique personality that grows and evolves. aibo can recognize up to 100 faces and develops a familiarity with people over time, remembering what actions make owners happy. No two aibo are alike as each aibo is shaped by its unique daily interactions and the parenting style of each owner, which helps to shape the personality, behavior and knowledge of your new puppy companion. The AI Cloud Plan comes bundled in the aibo First Litter Edition. In addition to powering aibo's learning capabilities, it enables owners to store their aibo-generated photos in the cloud and share them with friends via social media. 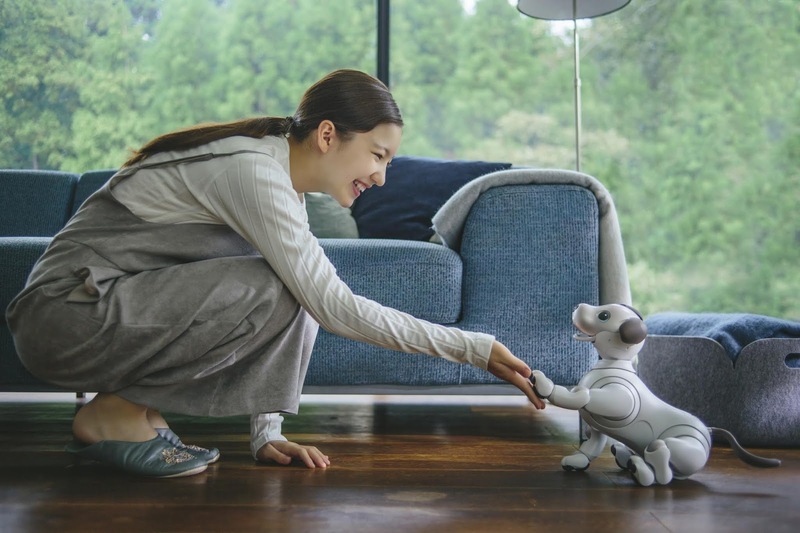 Additionally, the AI Cloud Plan ensures that aibo can be updated by Sony for years to come, growing aibo's functionality with new tricks, new software-based features, and even entirely new AI capabilities. aibo parents can also stay connected to their pup using the "My aibo" app2, which will be available for download from Google Play for Android Devices and the Apple App Store for iOS Devices. The app provides an easy and handy interface that allows users to play with their aibo, add tricks to its repertoire and more. After nearly 20 years, Sony has brought the latest and greatest generation of aibo back to the U.S. to continue to inspire curiosity, joy and wonder through this one-of-a-kind product. The aibo First Litter Edition with accessory bundle, three-year AI Cloud Plan and special numbered dog tag is currently available for a suggested retail price of $2899.99, with delivery in time for the holidays. To get your very own robotic puppy, while supplies last, please visit www.sony.com/aibo. aibo will be exhibited at Sony Square NYC from now until Oct. 14. The exhibit is open to the public and is a great place to experience aibo before buying. Note: This product is not for sale or use in the State of Illinois, and it may not be shipped to purchasers in Illinois.